Blenheim London is a new brand of UK designed and assembled watches. 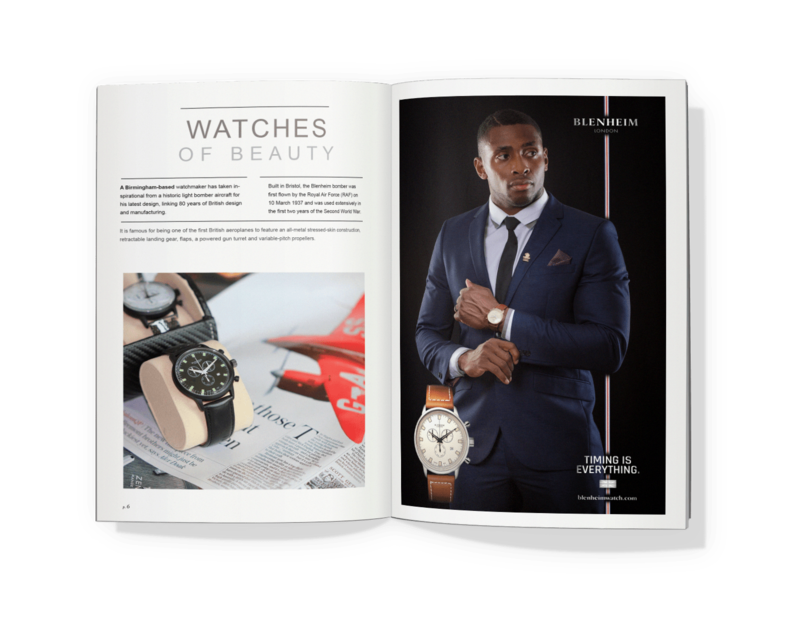 They approached us to develop a campaign that would help them establish their British credentials, raise awareness and trust in the brand, establish that they are a quality manufacturer of affordable and stylish timepieces. It was decided early on that it was important that Blenheim London demonstrated their credibility by investing in their brand assets. In order for the British credentials of Blenheim to be firmly established, the link between a rising star of British sport and a challenger brand were an ideal fit. 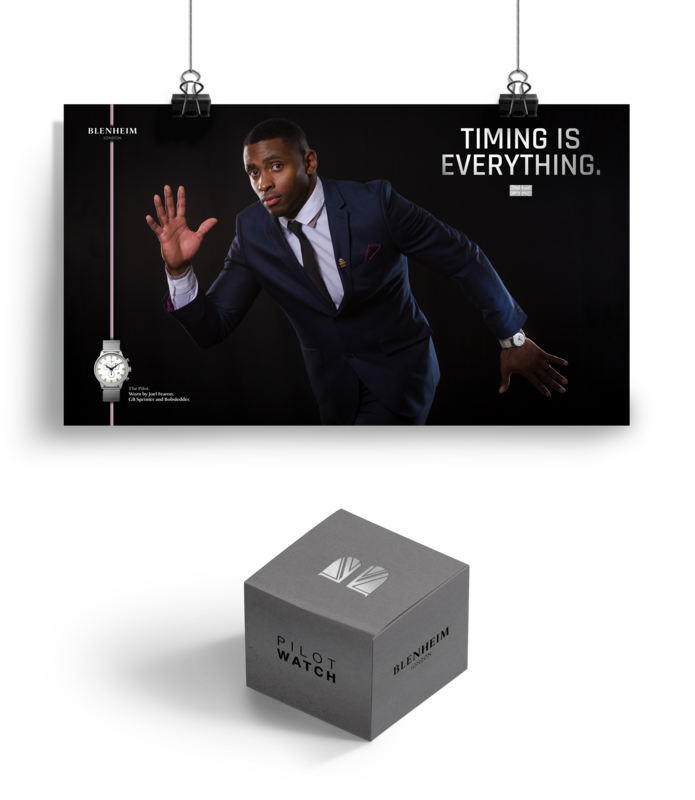 The proposal we put forward was to develop a campaign around the GB bobsleigh athlete and sprinter Joel Fearon becoming a brand ambassador. He has recently risen in profile by becoming the joint third quickest Briton ever over 100 metres and is looking to compete for GB in both disciplines at forthcoming international tournaments. The central premise of the creative concept is to show the versatility of the watch for everyday wear, both formal and sporting. Alongside this it is important that it reflects the price point and accessibility to the brand that differentiates itself from other watch manufacturers that use celebrity endorsement to maintain their price position in the market. 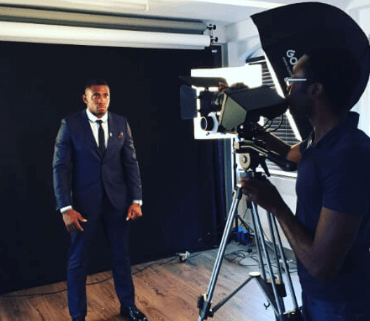 The campaign was predominantly social first and features a teaser video, a full length video, social commerce adverts and social content posts. Focusing on a UK geographic audience and interest-based targeting around fashion and watches, as well as income. The objective of the art direction was to leverage the emotions that an athlete would go through in preparation and competing at the highest level. Lighting was crucial to achieving the moody and brooding setting, while spotlights were employed to highlight the watch itself, as well as Joel’s facial expressions and clothing detail. The deliberate use of dark backgrounds provided the ability to easily reposition Joel within the frame for various social formats such as mobile or desktop and provide space for other visual devices or content. Utilising this approach enabled us to provide a unified vision for all the adverts regardless of format, orientation or scale. We also had the opportunity to spend time developing the brand’s corporate identity and particularly a shorthand logo for use in social media profiles. It was important this reflects the main corporate logo but has both visual weight and enough of its own identity to stand out. In association with this we developed the brand strapline, “Timing is everything.” This operates on two levels. Firstly the direct reference to timing and time keeping and secondly the association to sporting performance and success. The short visual format of this strapline is important and that it is constructed of three words, enabling it to say more, through less. The final visual device we introduced was the bleached UK flag that adds both a reinforcement of the UK credentials and is instantly recognisable in its form without having to use the it’s usual colours which are already subtly referenced elsewhere in the brand collateral. Within the adverts we introduced a thin red, white and blue ribbon that adds to the brand flavour as well as providing a visual device that draws the eye across the piece and unifies the key information. This device will become an important element within all future advertising and become a brand asset that immediately identifies Blenheim London. The campaign delivered very strong results from the start which resulted in direct social commerce sales as well as increasing sales on other retail channels as result of the activity. Alongside this, engagement on social activity increased dramatically as well as the volume and quality of referral traffic from Social channels. Overall Blenheim London now has a brand toolkit that will enable it to deliver further campaigns within a unified framework and add to its value over time. "Working with Bareface has enabled us to really clarify our brand identity, offering and vision."